Historically called the “Smokey Bay”, Reykjavik is a clean and culturally rich city situated along the brim of the Atlantic Ocean. Despite its bleak weather in winter, the jovial and foreign-friendly character of natives contributes to the cheerful atmosphere of the Icelandic capital. Advice: Definitely don’t forget to take your swimsuit with you. Favorite night club: Asmundur Sveinsson Sculpture museum Sigtun, tel. : +354 553 2155 – Garden-museum of sculptor Asmundur Sveinsson. Favorite attraction: Pools and whirlpool bath. Favorite shop: Video store offering “art films” in Klapastígur street. Advice: Take twice as much film for your camera as you planned. 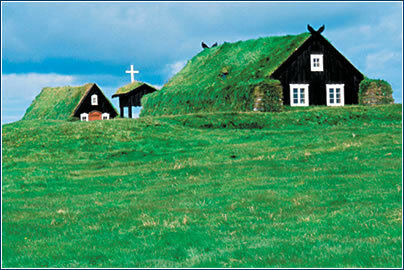 Reykjavik itself is not enough – for a full discovery of Iceland, at least visit Guilfoss. Electricity: 220 volts AC, 50 Hz; two-pin plugs are standard. 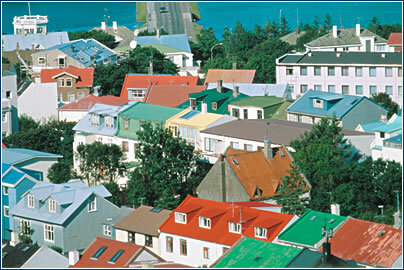 http://www.tourist.reykjavik.is/ – A good starting point that offers other links related to tourism. 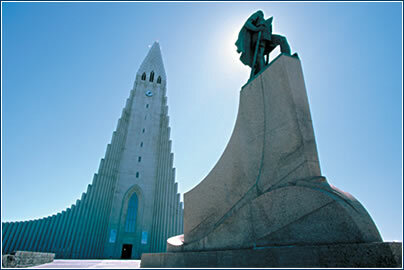 http://a-ztravelguides.com/world/europe/iceland/reykjavik/ -This site provides useful links to a variety of business services. http://www.bugbog.com/european_cities/reykjavik_travel.html – this unusual-looking site offers some good tips about what to consider before making the trip. http://iexplore.nationalgeographic.com/res/iceland/iceland_where.jhtml – the folks at National Geographic provide a image-rich exploration of the capital. http://www.books-maps.com/IS/REK.html – a great portal page for finding reference material related to Iceland and the region. · Iceland is in the unusual position of having its economy dominated by one industry: fish. A quick walk around Reykjavik’s harbour area is enough to see how dependent the city is on the sea and fishing as its main source of income, with the annual catch for the whole country averaging about 1.6 million tons. · The majority of the fish caught in the waters around Reykjavik heads overseas for export, in the form of shellfish, canned fish, shellfish, frozen fish, smoked fish, cod-liver oil and other fish by-products. However, Iceland’s economy is trying to diversify, so the share of marine products in total exports has fallen from around 90% in the early 1960s to around 70% today. · Tourism is Reykjavik’s most important source of foreign revenue after fishing and it has been targeted by the government for growth. Tourism, however, is facing something of a crisis since 2002, as Go, the British low-cost airline, stopped its cheap flights from London to Reykjavik. Also, a serious overspend at the World Travel Market 2001 in London has led to cutbacks on promotional activities, such as hosting foreign journalists. This situation may affect the rise in tourist visitors at a tough time globally for the industry – and casts doubts on whether Iceland can improve on the 300,000 tourists it welcomes with open arms every year. · Other industries include the sale of minerals, such as aluminium, ferro-silicon, cement and nitrates. Production is increasingly moving to high-technology, demonstrated by the fast-growing number of computer software and biotechnology companies. Reykjavik has traditionally been very attractive to foreign investors because of its highly educated work force, low energy costs and low unemployment rate. · When meeting a business counterpart in Iceland, a handshake is the normal form of greeting. Businesspeople are expected to dress smartly, although casual wear is widely accepted for social functions. Although an Icelander’s second language is generally Danish, a very high proportion of the population speaks English fluently. Although many businesspeople go on trips abroad between May and September, July is the holiday month and offices often close down for a three-week break. · Characteristically, Icelanders can be quite reserved (except on Friday and Saturday nights) but very direct. Visitors are often invited into homes (especially if on business) and bringing a gift for the host is the norm (a bottle of foreign wine is always welcomed). Instead of surnames, the majority of Icelanders use the system of patronymics. 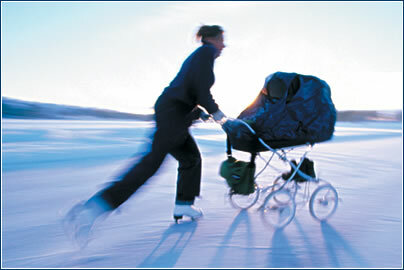 In this case, the first name of the father is used plus son (son) or daughter (dóttir). Because of this, the telephone directory is listed by first name.